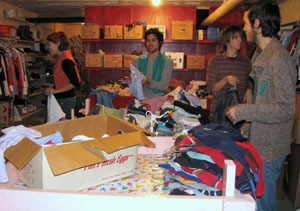 Up for grabs are used clothing, books, shoes, toys, games, and small household items, all free of charge. Getting there is a little tricky. 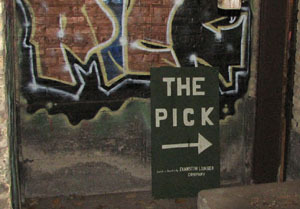 The Pick is located in the basement of a Reba apartment building (737 Reba Pl.) on Sherman Avenue between Reba Place and Monroe. To find the Pick, turn from Sherman east onto the alley between Reba Place and Monroe. On the right side of the alley there’s a path leading behind the Sherman building – follow that path to its end. Don’t be afraid to ask – people around here are friendly.